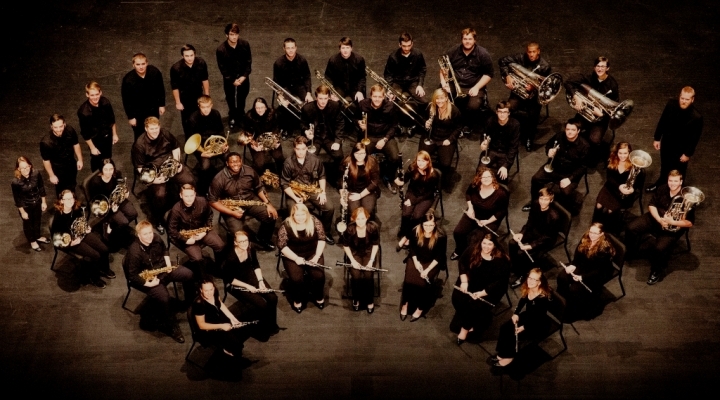 The EKU Wind Ensemble is the premier wind band at Eastern Kentucky University and is conducted by Dr. Andrew J. Putnam. Membership in the Wind Ensemble is selected by audition from among the finest wind and percussion players at the university. The ensemble performs diverse repertoire of the highest caliber, from chamber works to large ensemble pieces, and has a strong commitment to new music as well as the finest standard band repertoire. 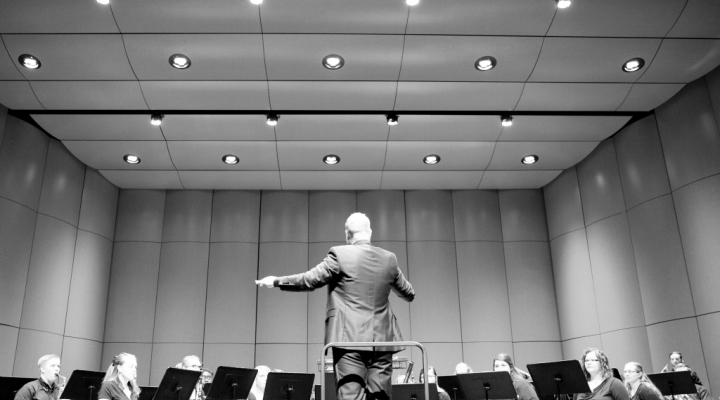 The band has a long tradition of excellence and performs regularly at national conventions, commissions new works, and hosts outstanding composers, conductors, and soloists. The Wind Ensemble is currently engaged in an ongoing recording project and enjoys airplay on several NPR stations as well as WindBand FM. To date, nine professional compact discs have been released, and commissions of new works for the wind medium have included Pulitzer prize winners Zhou Long and Jennifer Higdon, and internationally recognized composer Chen Yi. The Wind Ensemble meets on Tuesday/Thursday from 2:00-4:30pm. 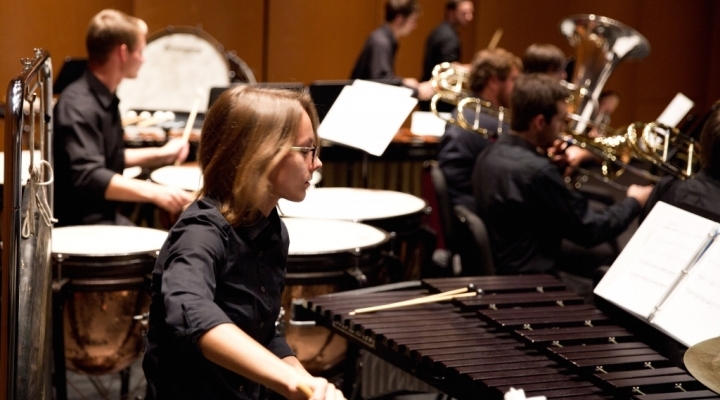 The EKU Concert Band is a non-auditioned group for woodwind, brass and percussion performers. All EKU students, including non-music majors are encouraged to participate. Previous experience in high school band is desirable. The group presents two concerts per semester featuring the finest band literature. 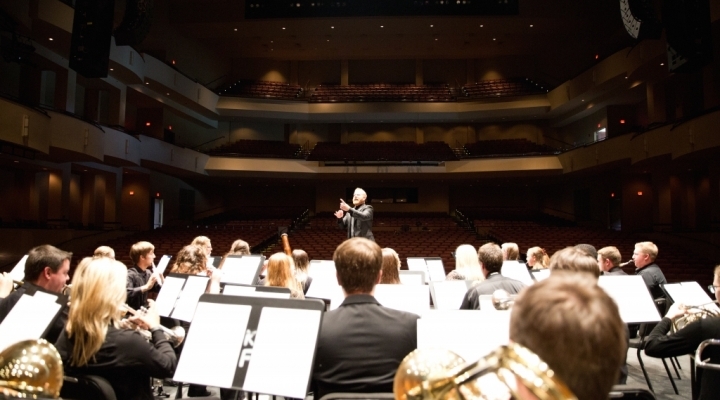 The Concert Band meets Tuesday and Thursday from 4:30 to 5:45pm in the fall semester, and Monday, Wednesday and Friday from 3:45–5:00pm in the spring, for one hour academic credit per semester. Membership in the EKU Wind Ensemble is by audition and is open to all qualified students at the University. Membership in the Concert Band is open to all students without an audition, but chair placement is done through the audition process. Auditions take place a few days prior to the first week of classes of each semester and are heard by the conductors and the appropriate applied music professor.